Glam Media, a social content platform for sites primarily targeting women, said it’s buying Ning, the custom social-platform start-up co-founded by Marc Andreessen. The purchase price wasn’t disclosed, but sources close to the deal said the sale price was $200 million, mostly in stock. Glam has been eyeing an initial public offering, so shares being part of the deal is not a surprise. I had reported in August that Ning was on the block and had been talking to a number of companies, including Google and Groupon. The sale price is well below previous loftier valuations for Ning, which topped $750 million several years ago. Its venture funders have put close to $120 million into the company since it was founded in 2004. Among its key investors: Well-known entrepreneur and investor Andreessen, LinkedIn Chairman and Greylock Partners VC Reid Hoffman, Legg Mason, Allen & Company and Lightspeed Venture Partners. Ning will operate as a new business unit within Glam Media. Jason Rosenthal, Ning’s CEO, will join Glam as EVP Social Media and general manager of a Ning unit. In addition, Andreessen will join Glam’s board. The sales effort grew out of a parallel one to possibly raise more money for the start-up. At the time, sources said there had been some incoming interest, so talking to a larger pool of buyers was undertaken. Ning has undergone a series of ups and downs over its history, including dramatic management and business plan shifts. Its most recent plan has been to go all-premium, trying to find a way to turn the start-up into a profitable enterprise. That has worked out well, the company has previously said, with strong growth. Since its business shift a year ago, Ning has said, it has had 400 percent year-on-year revenue growth, going from 17,000 to more than 100,000 subscribers and with 60 million monthly active users. Ning’s shift has been under the leadership of Rosenthal, who had been COO of Ning until he replaced its founding CEO, Gina Bianchini, in early 2010. Ning has also recently tried to get into the highly competitive mobile social communications arena, with a service called Mogwee. The traction for the product does not appear to have been significant and it is unclear if the service will continue. Silicon Valley, CA — Sept 20, 2011 — Glam Media, Inc. (www.GlamMedia.com), the number one vertical social content platform company with the largest online global reach for women, today announced that it is acquiring Ning (www.ning.com), the leading online platform for building social websites, including more than 100,000 custom branded fan sites. Since launching the first social blog community in 2005, Glam Media has experienced tremendous success, growing from just seven publishers and 12 authors to more than 2,500 publishers and 4,000 authors globally today. The company has trusted relationships with more than 1,000 leading brand advertisers and is a Top 10 web property with more than 85 million monthly unique visitors in the U.S. and more than 200 million globally. Combining Ning’s world-class technology and deeply engaging social platforms with Glam Media’s super premium advertising solutions and reach will accelerate the company’s vision of bringing brand marketers online by helping them to engage with passionate social communities across all digital mediums. Glam Media together with Ning will set the standard for the future of media by providing their clients with the reach of portals, the deep connections and interests of Facebook, and the influence of trusted conversations. Founded in 2004, Ning is the world’s largest custom platform for social communities and networks. The company has experienced explosive growth since it successfully moved to a subscription-based business model led by CEO Jason Rosenthal. Since 2010, Ning has increased the number of paying customers from 17,000 to more than 100,000 and grown its revenue by over 500 percent. Today, Ning has more than 100 million registered user social profiles and reaches more than 60 million monthly unique visitors. The company’s customers are the most active champions of brands, causes and organizations seeking to make an impact in the world using social media. Ning makes it easy for brands of all sizes to build custom and powerful social brand fan pages and web sites as diverse as Linkin Park’s fan social network, Martha Stewart’s mentorship community, Scott Brown’s virtual campaign office and the collaborative hub for the Peace Corps. More than 50 percent of Ning sites are integrated with social applications such as Facebook, Twitter and Google+, which helps to amplify messages across each member’s social graph. Ning will operate as a new business unit within Glam Media. Jason Rosenthal, Ning’s CEO, will join Glam as EVP Social Media & General Manager of Ning, and will be a member of the Glam Media executive team. Additionally, Marc Andreessen will join Glam Media’s board of directors, joining the top venture firm investors in Glam — Accel’s Thereisa Ranzetta and DFJ’s Tim Draper — as well as Co-Founder of Glam Media Fernando Ruarte, Dr. Marcel Reichart from print media leader Hubert Burda Media, and Glam Media Founder & Chairman Samir Arora. Marc is a Silicon Valley pioneer who created Mosaic, the first web-browser and was the co-founder of Netscape Communications. In 2009, Marc created the venture capital firm, Andreessen Horowitz, with Ben Horowitz that invests in leading edge technology companies. He currently serves on the boards of Facebook, HP, eBay and other leading technology companies. The acquisition of Ning will allow Glam Media to provide its 2,500 publishers and 4,000 authors with even more innovative ways to connect, create and broadcast authentic content across multiple mediums and social streams — all in one place. Glam publishers will be able to leverage new services that enable them to grow their audiences on desktop, mobile and video and increase frequency, leading to higher levels of engagement. Additionally, Ning Creators running active online communities will have new opportunities on desktop and mobile devices to monetize their sites and grow successful businesses. As consumer behavior broadly moves from old media to the web — as software eats content — the opportunity for high-end online content is gigantic and our combined company will be in the pole position in this huge market. 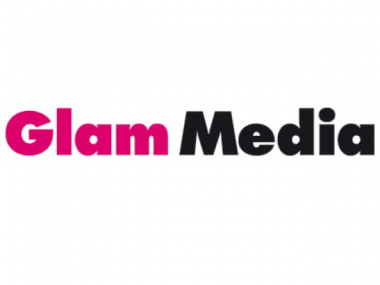 To that end, I am also delighted to announce that I will be joining the board of directors of Glam after the completion of the merger, which we expect to occur in the fourth quarter of 2011. I’m thrilled to be able to work with Samir and his team at Glam, as well as Jason and his team from Ning, to build an amazing combined company.